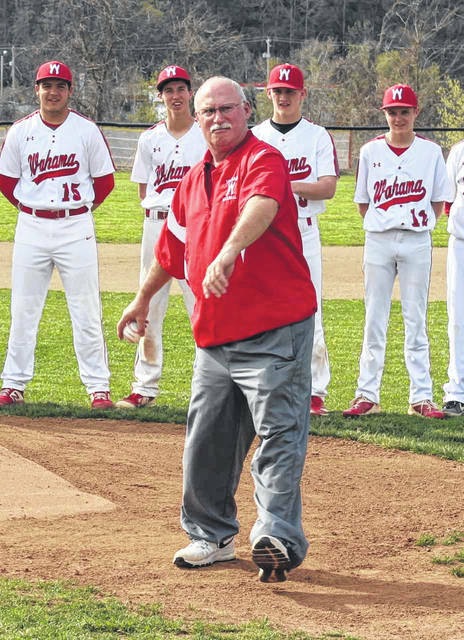 Prior to Wahama’s varsity baseball game against Waterford at Claflin Stadium last week, the White Falcons honored former coach Tom Cullen for 38 years with the program, including 14 as head coach. Cullen threw out the first pitch, and was presented a plaque. 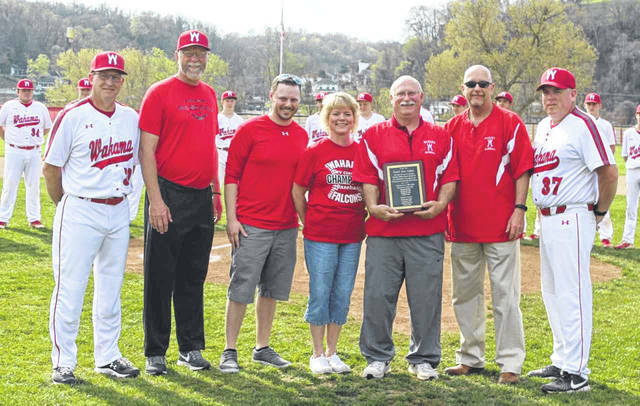 Pictured from left are, Wahama head coach Billy Zuspan, Wahama Athletic Director Ron Bradley, Garrett Cullen, Laura Cullen, Tom Cullen, WHS Principal Kenny Bond, Wahama assistant coach Wes Bumgarner.